Katt Funny. : Wi-Fi Must I? 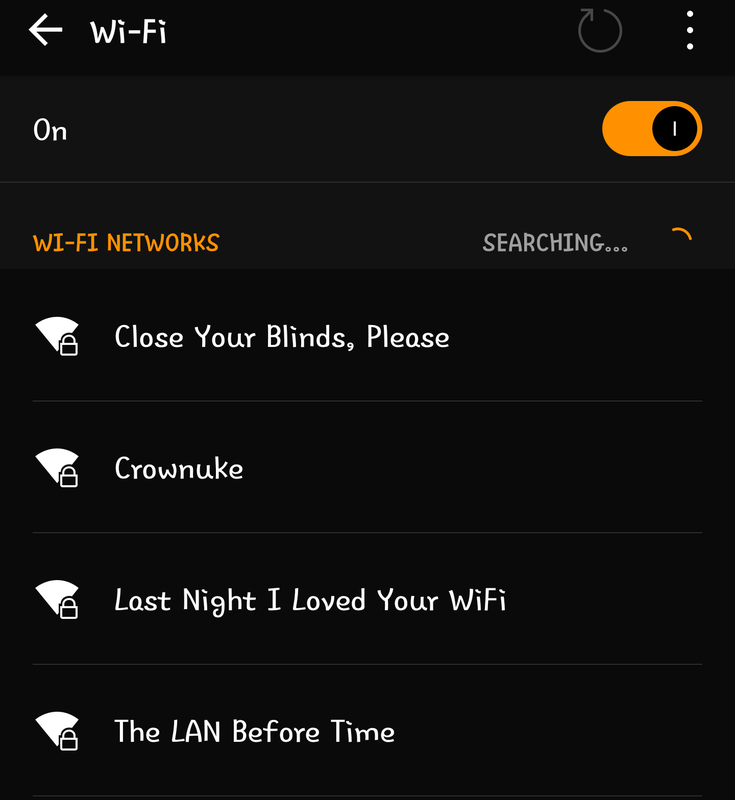 Our neighbor "Crownuke" needs to realize that there's a comedy genius nearby, so I changed our Wi-Fi network names again.